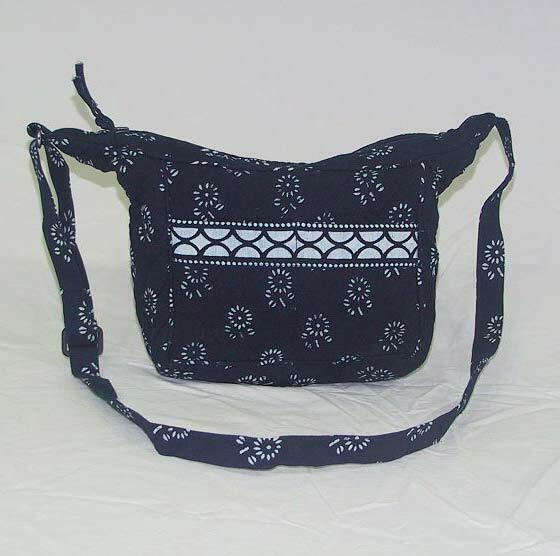 A beautiful, natural indigo dyed, hand-made bag with an single adjustable strap. Wear it on the shoulder or lengthen the strap and wear it across your body for extra comfort and security. Two open pockets on the outside of the bag are idea for cell phones and keys, or opt for the zippered pocket to make sure things stay put. Inside are four pockets to organize your things so they are always readily available and easy to find. Do not pass up this beautiful medium sized bag! If you are looking to downsize or just want a fun, versatile, "take anywhere" bag... THIS ONE IS FOR YOU!